Everything old is new again. It's not just Full House and Pee-Wee getting a revival on Netflix, see Danger Mouse beginning today. The original cartoon aired in the UK from 1981 to 1992 and has been updated with new super spy adventures. All episodes are available for viewing beginning April 29. 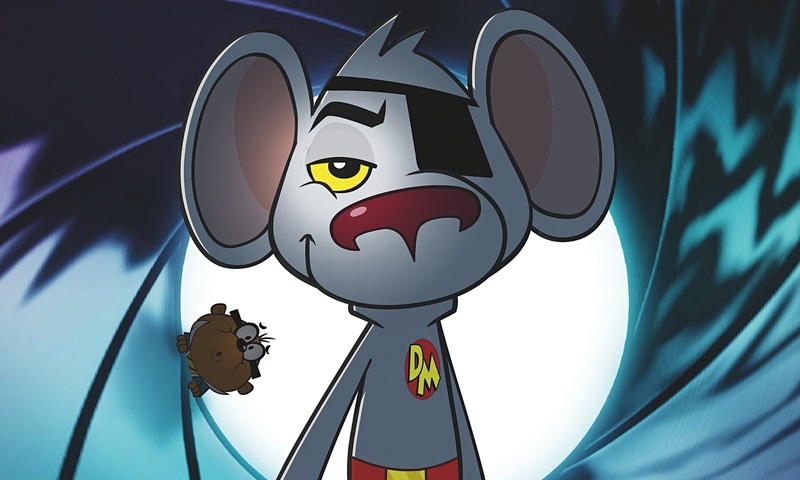 The new series features a great British voice cast including Stephen Fry, as Colonel K, Alexander Armstrong as Danger Mouse, Kevin Eldon as his trusty sidekick Penfold, Dave Lamb as the narrator, Lena Headey as U.S. Secret Agent Jeopardy Mouse, and John Oliver as Dr. Augustus P. Crumhorn III. Check out the trailer to get a taste of the series. The world’s greatest secret agent, Danger Mouse, returns in dashing, globe-spanning style with a new animated series that features all the classic characters, catchphrases and comedy that made it an 80’s cult favorite. With the world once more teetering on the edge of disaster, the small but heroic secret agent is back to thrill a whole new generation of fans as he attempts to overthrow a host of villainous rivals with the help of hapless hamster Penfold and a collection of state-of-the-art gadgetry and vehicles. Originally a loose parody of British spy fiction.